The first issue is measuring the scale of the problem. The FAO, in its State of Food Security in the World, 2013, reports that around 840 million people suffered from chronic hunger in 2011-13. This represents some improvement from the 1 billion hungry people estimated in 1990-92, and an even more impressive improvement as a share of the global population, but still remains unacceptably high in a world as wealthy as ours. A recent paper by Evans and Steven argues that progress seems to have stalled and without concerted action, hunger is likely to persist until the end of the 21st century. The problem is that we don’t really know what has happened to hunger. The FAO is in the process of sharply revising their methodology to improve timeliness in a Voices of the Hungry Project. The old methodology, based on model simulations rather than actual real-time measurements, yielded some questionable numbers. In 2009, FAO was reporting increases in global hunger to historic highs of over 1 billion attributed to increases in international food prices, while self-reported indicators (from surveys like the Gallup World Poll) were showing the opposite, that hunger levels were actually falling thanks to strong economic growth in developing countries. Academics like David Headey came down on the side of survey results and FAO, in partnership with Gallup, has devised a set of questions to arrive at a Food Insecurity Experience Scale that they will publish in 2014. This will be a great first step to resolving the measurement problem. 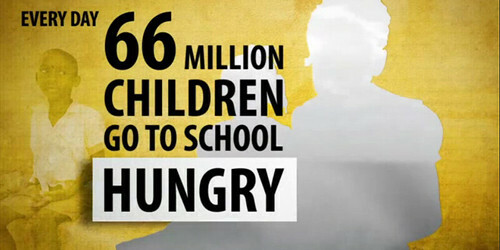 The second major issue is to understand that the impact of hunger goes well beyond short-term misery and indignity. Undernourished mothers give birth to undernourished babies, whose brains cannot fully develop, limiting their cognitive and physical development, leaving them permanently unable to fulfill their potential and perpetuating cycles of poverty. Even for adults, there is now compelling evidence that hunger has a physiological impact that leads to poor decision making. Sendhil Mullainathan, in a fantastic new book called Scarcity: Why Having so Little Means So Much, has put forward a powerful compendium of experiments documenting these effects. There is no shortage of promising initiatives to tackle hunger and food security. The New Partnership for Africa’s Development (NEPAD) has outlined a Comprehensive Africa Agriculture Development Programme (CAADP) that commits countries to allocate at least 10 percent of national budgetary resources to agriculture and rural development policy implementation by 2015. The Alliance for a Green Revolution in Africa (AGRA) aims to reduce food insecurity in at least 20 countries, double the incomes of 20 million smallholder farmers, and put 15 countries on track to attain and sustain a Green Revolution. The New Alliance for Food Security and Nutrition began in 2012 with a promise to help lift 50 million people in sub-Saharan Africa out of poverty in the next ten years by supporting agricultural development. The problem is that few of these initiatives have a system in place for tracking resources, impact and accountability. At the macro level, only half of the money pledged by donors for the G8 L’Aquila Food Security Initiative in 2009 has been disbursed. Aid directed towards agriculture has declined since the 1980s. African leaders in the Maputo Declaration pledge to direct 10% of GDP towards agriculture, yet there is a $4.4 billion dollar shortfall to this commitment. At the micro level, there is still too little attention to transparency and evaluation of aid to ensure it is directed in a way that best promotes livelihoods and supports smallholder farmers. It is so saddening that most of African states cannot generate food for all her citizens though are possible new technologies present in the world currently. We are living in a SAD world. I am here going to quote the now late President Mandela: "Poverty is not an accident. Like Slavery and Apartheid, it is Man-Made and can be removed by the actions of human-beings." The Golden question here, is whether Hunger could be removed by the crowds of persons that initiated it ? Another great piece from FUTURE DEVELOPMENT. Thank you. I've heard it said more and more often - in reference to Africa at least - that agriculture must be treated as a business issue not as a development issue. It would be great to hear more thoughts on this. With large amounts of uncultivated arable land, roughly 60 percent of the global total, Africa has plenty of space to lift production. Meanwhile productivity can also be boosted. African cereal yields are just over one-third of the developing world average, linked to the fact that as much as 80 percent of Africa’s agriculture still depends on rain not irrigation. How might it help to treat agriculture in Africa as business? Thanks for the comment. Both the public and private sectors have a role to play - especially to achieve changes at the scale needed for agricultural transformation. Increased and improved infrastructure, irrigation, credits to farmers, increased extension services and good policy frameworks will be needed. See http://growafrica.com/ for interesting public priviate partnerships on agriculture. Most of people in African states don't care about guns. They just living day by day worrying how to get their food or medical care. It is up to developed countries to do something about leaders of those states. It is now very important to shift from mostly supporting Africa as a "charity case" to taking business-like approaches in at-least, most of the development assistance given to the region. In every community in sub-Sahara, you can find lots of talented men and women who are operating micro-enterprises and micro-farms with tiny budgets and can't get bank loans with which to expand. The farmers have dreams to acquire modern machinery/technology to grow more fruits and vegetables for direct consumption in nearby towns and villages and for processing for local and remote/foreign markets. Most governments in Africa have not proven to be very useful for these skilled young and old farmers. Assisting them to expand is always drowned in bureaucracy, favoritism and corruption. The western world can help through bypassing inefficient African governments and making funds and other resources available, directly to the farmers in any country through social enterprise NGOs. I truly believe that it is time for the World Bank to seriously discuss how to provide food security and poverty alleviation support directly to impoverished entrepreneurs and other change makers in the African countries that have uncooperative governments. Poor people should not be punished because of their inefficient governments and we cannot blame them for electing corrupt people because in my opinion, at the level of poverty in the region (70% living on less than $2 a day), economic independence comes before democracy. It will never end.the paramter of human civilisation is greed.we can never over come hunger.all we can do is minimise it with our karma.the number of living being In this earth remains same only they change the teritory ans shape if we keep good karma we minimise the bad effect I.e hunger. Things are move ! We have to stay optimistes and not in blaming all time ! Mentalities of Africa Leaders are changing too ! Now they are undestand that things can not continue this way unless sinking with thier poeples ! World Bank have to double effort in teaching leaders to ! They need it ! Thanks ! Thanks for the comment, Nshimiyimana. Indeed, there are signs of promise: President Boni Yayi of Benin has named 2014 the "Year of Agriculture in Africa" and initiatives including Grow Africa http://growafrica.com/about show the potential for broader partnerships. We propose that these initiatives and commitments be systematically monitored and data tracked to ensure accountability. Most of people in African states don't care about guns. They just living day by day worrying how to get their food or medical care. Make foods the currencies for payments against anykind of social labour/work in an area where hunger is maximum.let people earn food for any contribution in social uplifment..
Great article. It's always nice when you can not only be informed, but also entertained!